Nellie's Cottage01263 715779work01603 870304fax Self-cateringThis quaint cottage sits along a quiet terrace in the coastal village of Stiffkey. The beaches of the Norfolk Coast are only four miles away and there are plenty of walks, cycle routes, pubs, shops and restaurants for guests to enjoy. This property has a lovely character and features comfortable furniture and modern utilities. Nellie's Cottage is an end of terrace cottage. When travelling along the coast road it is easy to spot Nellie's Cottage due to the topiary elephants in the garden, which are sure to raise a smile! 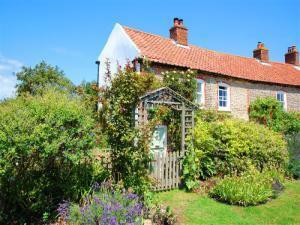 This quaint cottage sits along a quiet terrace in the coastal village of Stiffkey. The beaches of the Norfolk Coast are only four miles away and there are plenty of walks, cycle routes, pubs, shops and restaurants for guests to enjoy. This property has a lovely character and features comfortable furniture and modern utilities.